One of the first graduates of the Photographic Technology course at NAIT, Bill Borgwardt has been involved with the media and employed in the photographic industry since 1966, including the motion picture and television industry. Originally starting out as a freelance television news photographer for CBC, and then spending several years directly employed with ITV (now Global Television), before undertaking various other photography related ventures. As a child, Bill’s weekends were spent at the Horse Hill community hall just north east of Edmonton, listening to country bands. His dad was the president of the local community association and as such oversaw the weekly country dances. Bill became seriously involved in the Canadian country music industry in the early 90s. He began volunteering his photographic and organizational skills to Global Country Canada in 1996, and has worked with them since that time, helping to organize and promote various Global Country programs, concerts, and events, including the annual tour of Nashville for winners of the Global Country Star Search. In 1999 he began doing photography and writing for Country Music News, becoming the principal photographer and Edmonton columnist from 2000 until the publication folded in March of 2012. In 2006 Bill was presented with a Canadian Platinum album award by Charley Pride, for his photographic work on the DVD packaging, "Charley Pride - Live In Canada". Also in 2006 he produced the very successful Alberta Rock ‘N Roll Reunion for Global Country. The show, held in Edmonton’s Winspear Centre, in front of over 1600 people, brought together nearly 50 Alberta artists who recorded in the 1950’s and 1960’s and were instrumental in developing the rock and roll genre of music. From this show he produced the Alberta Rock ‘N Roll Reunion documentary DVD, the only comprehensive record of the contributions of Alberta artists to this form of music. A copy of the DVD was requested by the National Archives of Canada for their archives. 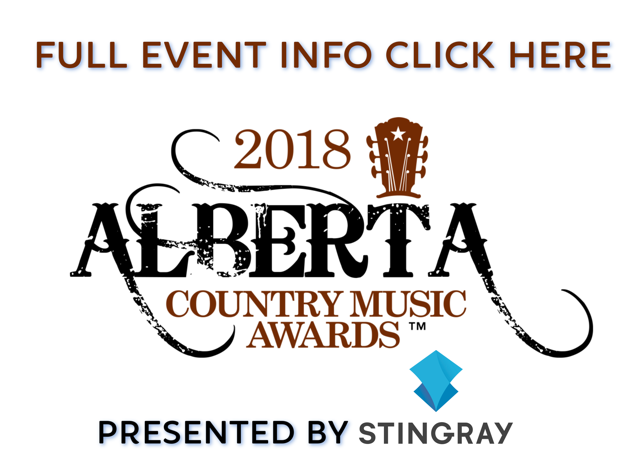 In 2011 he was presented with the Bev Munro Award by the Association of Canadian Country Music Legends for his support of country music in Alberta and across Canada. In addition to maintaining a news blog on the Association of Country Music in Alberta website since May of 2012, Bill is the official photographer for CFCW, a photo contributor to the National Music Centre in Calgary (Canadian Country Music Hall of Fame), and a feature contributor to Canadian Cowboy Country. Each year he covers well over a hundred different country music events and has covered CCMA Country Music Week since 1999, and Big Valley Jamboree since its inception in 1993. He also produces country music videos for YouTube. In 2014 Bill had the honour of having two of his photographs of Tommy Hunter used by Canada Post on the First Day Cover and booklet packaging of the Tommy Hunter commemorative postage stamp. In January of 2015, Bill was voted the 2014 Industry Person of the Year by the members of the ACMA. Crystal Shawanda gave a concert at Festival Place on April 21st to promote her new album, Just Like You.. The "Strawberry Wine" girl, Deana Carter, performed at The Venue at the River Cree Casino on May 25th. Calgary's Lori Kole and her band performed at Fandango's from December 6th to 8th. On June 1st the band Sidekick performed at Fandango's. Scroll down for photos from the past year.